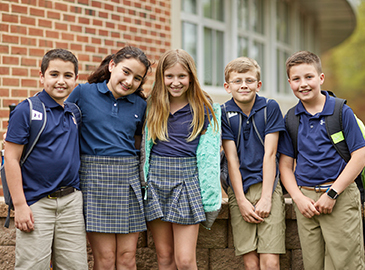 From our proud history to our promising future, Bullis builds community while enabling each student to find a unique path and passion. 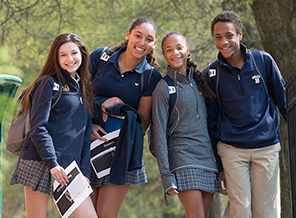 At Bullis, our mission is to provide a student-centered balanced experience in academics, arts, athletics and community service. 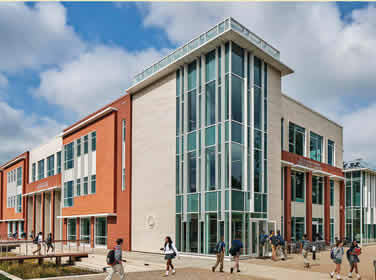 Bullis uniquely prepares all students to become caring citizens and creative, critical thinkers who will thrive in tomorrow’s world. We look forward to working with you through the admission process. There are so many ways to get to know Bullis! Join us for an Open House, Campus Tour, and Student Visits. Visit Bullis right here online through a virtual tour of our 102-acre campus. View details about tuition and fees. Bullis offers financial aid because we believe that economic diversity is part of Bullis’ strength and definition. Check out our list of frequently asked questions (FAQs). View the admission calendar of upcoming deadlines and events. Meet the Bullis Admission team.